Robert Henri (1865–1929) was an American painter and teacher. He was a leading figure of the Ashcan School of American realism and an organizer of the group known as “The Eight,” a loose association of artists who protested the restrictive exhibition practices of the powerful, conservative National Academy of Design. Alice Klauber, chairperson in charge of the Exposition’s art department, had invited him to San Diego. Henri arranged for an exhibit of American impressionists and artists of the “Ash Can School” at the Exposition’s art gallery in the Fine Arts Building just south of the California Building. Dr. Edgar Lee Hewett authorized Alice Klauber, a member of the Fine Arts Committee, to ask Robert Henri for assistance in setting up the exhibit. Alice Klauber was a close friend of Robert Henri and had been an art pupil of his in New York. In the summer of 1914, Henri was living in La Jolla, California, a suburb of San Diego, at the invitation of Alice Klauber, and it was there that Klauber introduced him to Dr. Hewett. Soon, he and Hewett became close friends. 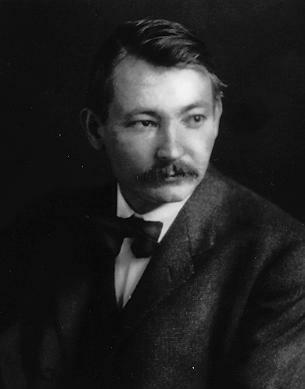 Hewett lived in Santa Fe, New Mexico, where he was the Director of the School of American Archaeology. Henri was to be attracted to the culture of the Southwest Indians, and particularly life in Santa Fe. Henri took a great interest in the Panama-California Exposition and proceeded with the planning of the art exhibit. He sent to Hewett a list of artists who would “…represent American Art …” The list was as follows: George Bellows, John Sloan, Maurice Prendergast, Arthur B. Davies, William Glackens, Ernest Lawson, Carl Sprinchorn, George Luks, Childe Hassam, Guy Pene Du Bois, and Henri. What Henri considered to be representative of modern American art was essentially the Eight, plus four disciples. Davies declined the invitation and Joseph Henry Sharp took his place. While the local newspapers gave considerable coverage to the exposition in general, the Modern American Art exhibit received only one descriptive article during the year. That article centered on Henri and illustrated two of his paintings. The reviewer termed Henri as the leader of a “new movement in art which consists of the recognition of the significance of truth and the development of a technique to express these ideas….” The article closed by informing the reader how to correctly pronounce Henri’s name. Of the forty-nine works exhibited and offered for sale in the Modern American Art exhibit, none were sold. A Catalog of Paintings for the Modern American Art exhibit. …adapted from Wikipedia and Robert Henri and the 1915 San Diego Exposition by Jean Stern, previously published in American Art Review, September-October 1975.